The Department of Social Welfare and Development (DSWD)'s "Bawal Ang Epal Dito" campaign poster was unveiled last February 23, 2013 at Landbank Carcar City branch in Cebu. Spearheaded by DSWD Secretary Corazon 'Dinky' Soliman, the event was also attended by National Project Manager Director Rodora T. Babaran, DILG Under Secretary Bimbo Fernandez, and DSWD Field Office 7 Regional Director Mercedita Jabagat. Sec. Soliman stressed the importance of information dissemination regarding the "Bawal and Epal Dito" project, especially amongst the Pantawid Pamilya beneficiaries, so as to protect them from deceit and false promises. 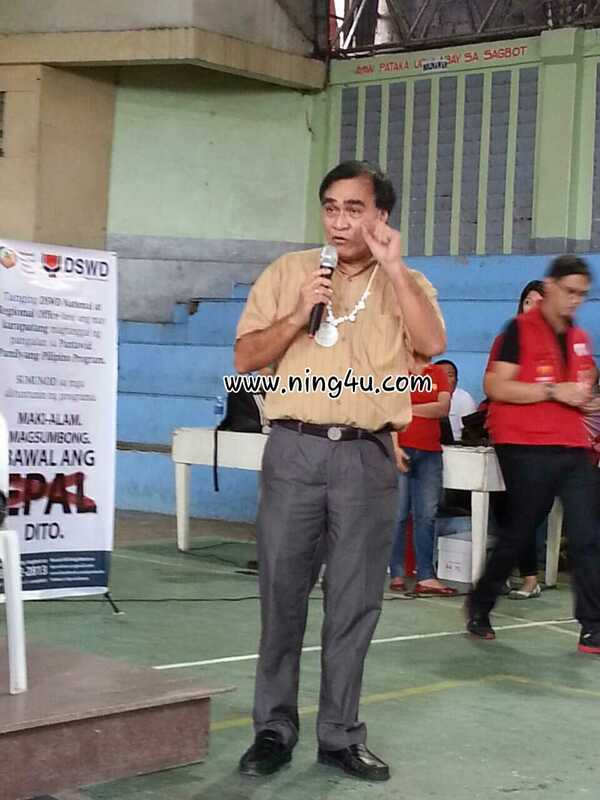 "Walang ibang makakatanggal sa listahan kundi kayo, DSWD lang po ang nagdadagdag kapag kwalipikado" Sec. Dinky said. She added that the project is also about "Katapatan ng mamayan at katungkulan ng pamahalaan." For his part, DILG Usec Fernandez said, "The DILG will be more vigilant and watchful for those who will abuse the Pantawid Pamilya beneficiaries. Bawal Ang Epal Dito's main goal is to protect constituents from abusive and manipulative politicians who might use DSWD's "Pantawid Pamilyang Pilipino" (DSWD-PPP) program, especially this coming elections. 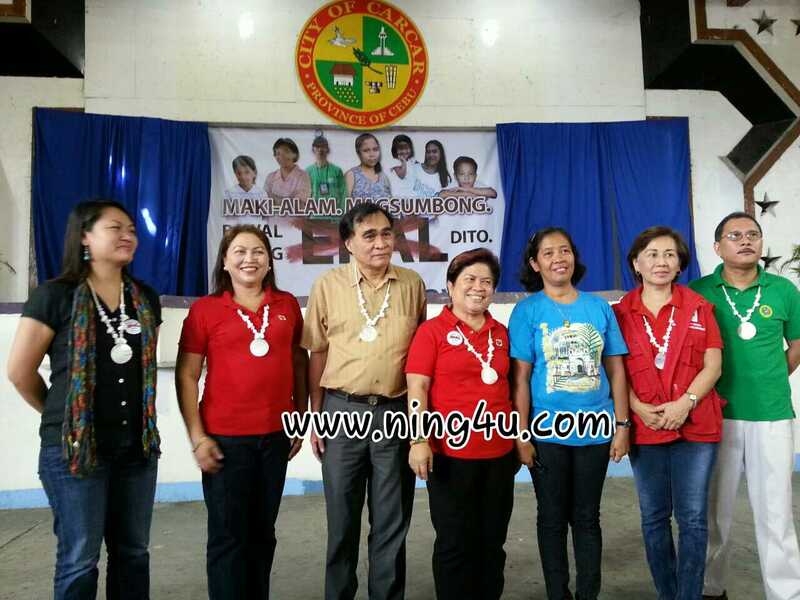 DSWD-PPP is a continuous program which aims to provide conditional cash grants to impoverished Filipinos. It is vigorously implented in almost 1600 cities nationwide and Carcar City is one of them, with almost 4000 household beneficiaries. After the unveiling of the "Bawal Ang Epal Dito" poster, button pins for the project were distributed together with the payout for Carcar City beneficiaries. 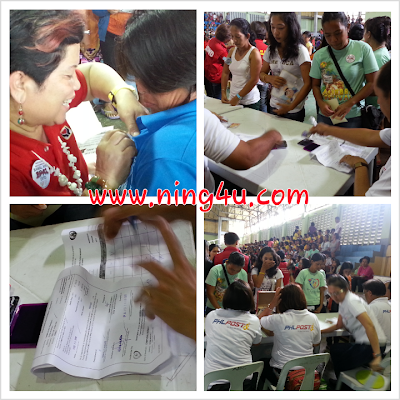 Press and online writers witnessed firsthand how the DWSD-PPP monthly payout distribution is done. The beneficiaries gather together under one roof and fall in line properly for faster and easier processing of their transactions. 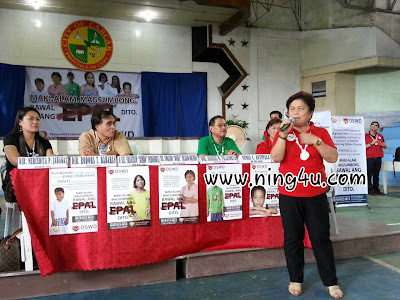 This regular activity is carried out nationwide with the help of Landbank and Philpost. I admire DSWD's leadership and the department's team effort in their heroic mission to improve the quality of life of every Filipino, especially those living below the poverty line. 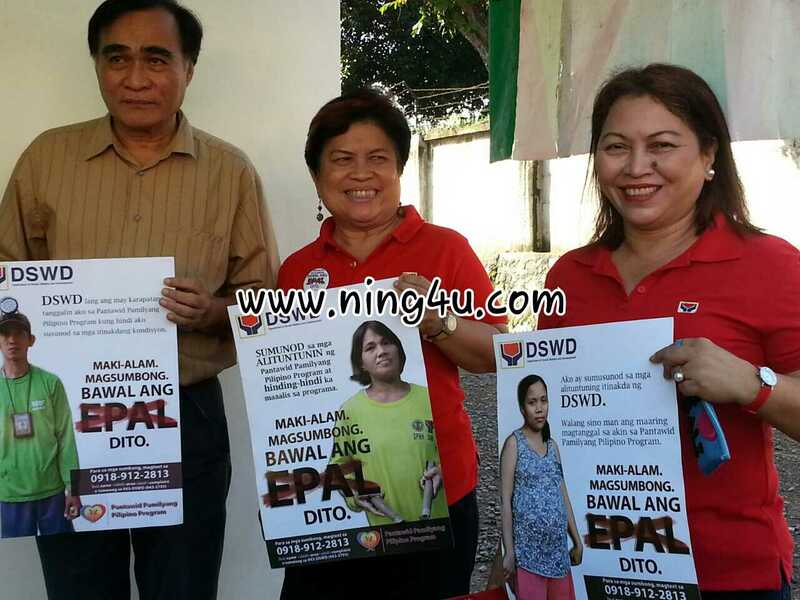 "Bawal ang Epal Dito" is another project that proves DSWD will always be in the front line when it comes to protecting the disadvantaged segment of our society. There is no question in my mind that I will always wholeheartedly support DSWD on every step of their journey. I hope you guys can do the same. Their current project will not only empower beneficiaries but most of all, like I said before on my last post HERE: "It ensures that the voting populace can not and should not be unduly influenced by wayward politicians and electoral candidates". Always remember BAWAL ANG EPAL DITO.